Digital pictures recovery software offers simplest and easiest way to locate and recover your lost, deleted photos, pictures, images, snaps etc from fixed or USB supported data storage drives. Digital photo recovery utility facilitates retrieval of missing, corrupted, accidentally deleted, picture files from formatted/reformatted, damaged or logically crashed Windows hard disk drives or USB removable data storage drives. ...... preview of the picture and files you thought was lost. Software makes it possible to locate lost and deleted picture files (jpg, jpeg and gif) from formatted or badly damaged Windows hard disk drives. Similarly Digital image rescue tool undelete picture files from USB removable media drives including Compact flash card, Multi Media card (MMC), USB flash drives, Memory sticks, Digital cameras, PDA devices and many more. * Easily recovers all your lost digital pictures, favorite photo galleries, loved baby snaps and various memorable event images. * Facilitates easy recovery of all picture files like jpeg, gif and jpg. * Supports entire USB removable data storage drives like Pen drives, External hard disk, Mobile Smart phones, Memory cards, Digital cameras, SD cards, Picture cards etc. 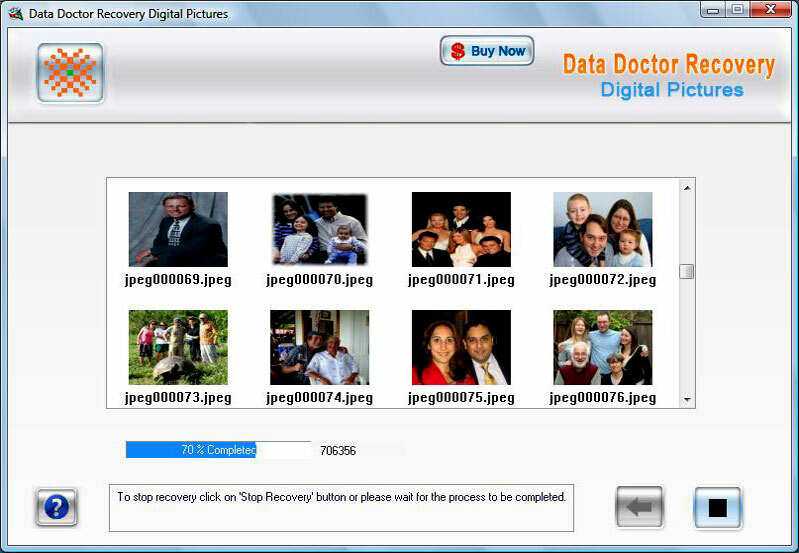 Digital pictures recovery utility recovers inaccessible digital photographs. Qweas is providing links to Digital Pictures Recovery Software 5.8.4.1 as a courtesy, and makes no representations regarding Digital Pictures Recovery Software or any other applications or any information related thereto. Any questions, complaints or claims regarding this application Digital Pictures Recovery Software 5.8.4.1 must be directed to the appropriate software vendor. You may click the publisher link of Digital Pictures Recovery Software on the top of this page to get more details about the vendor.